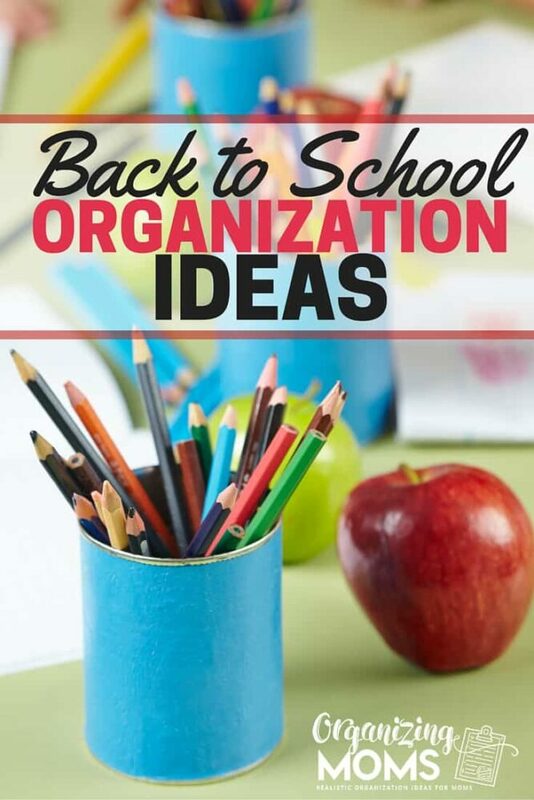 The new school year is on the horizon, and we are starting to think about back to school organization ideas. Getting ready for a new school year can be fun, and it can be stressful. Anything you can do to start preparing now will make the beginning of the year easier for you and your family. As a mom of preschoolers, back-to-school looks very different for us than it does for parents of older children. 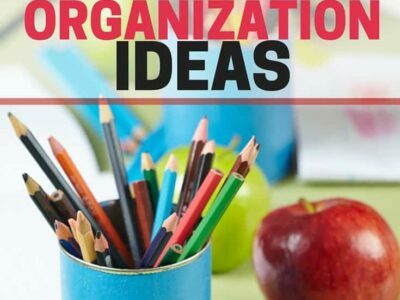 I asked my fellow bloggers to help me in compiling great back to school organization ideas for different ages and stages. This is a list of resources that will help you get ready for the beginning of the school year. It includes tips and tricks for students of all ages. 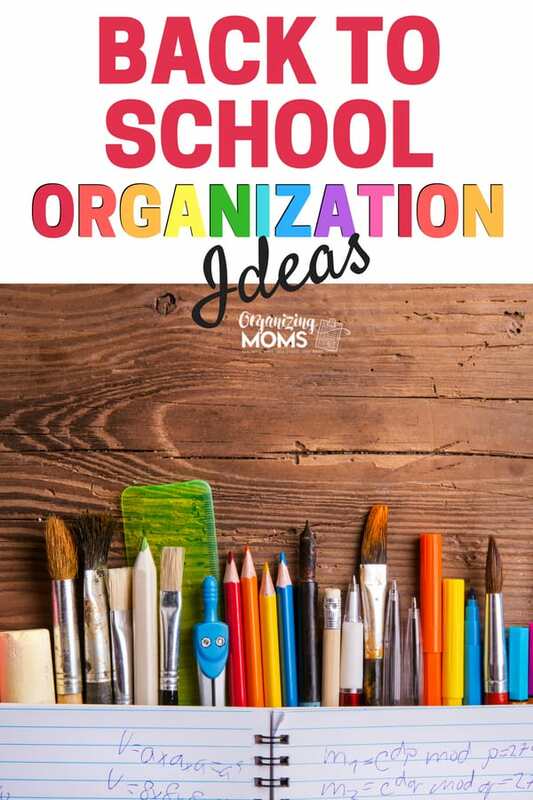 10 Back to School Organization Ideas – A list of to-dos that you won’t want to miss! Doing these things now can make the beginning of the school year much easier. Back to School Organization: Storage for Preschoolers – How we organizer our preschoolers’ backpacks, coats, and other school-related items. How to Organize Your Back to School Supplies: Ways to budget for new supplies, and make the most of them in an organized way. How to Organize and Maintain Kids’ Closets from Clean Mama. Lots of good ideas for helping kids get dressed independently! Organize your pens, pencils and markers with these cute Squid Pencil Organizers. They’re made from toilet paper rolls, so they’re frugal, crafty, cute, and functional. From Easy Crafts for Kids. Make It Through the School Week With Your Sanity from The Cole Mines. Because, the first week is rough! Tips to Master Your Morning Routine – from Umbrella Tree Cafe. Make a DIY Ikea Homework Station – it’s adorable! From Your Modern Family. Ways to Help Your Kids Get Ready for School in the Morning – I love the idea of making a morning basket for kids. From Your Modern Family. Free Printable Checklist for Kids Backpacks. Helps kids work on their executive functioning skills! From JDaniel4’s Mom. 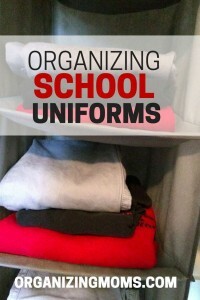 Organizing School Uniforms – Tips to help you organize them so you’re never stuck without an essential piece!